According to the findings of Bank of America Merrill Lynch’s latest Workplace Benefits Report, one-third (32 %) of HR professionals have increased the time they spend on educating employees about workplace benefits and how they factor into workers’ financial security and overall wellness. The nationwide survey of more than 1,000 companies also revealed that a whopping 73 percent of HR professionals said they’ve had to develop greater expertise across various retirement and healthcare-related topics in order to effectively do their jobs. Many survey respondents reported to having spent significantly more time on activities related to their health care plans (61 percent); their company’s 401(k) plan (38 percent); recruitment and layoffs (32 percent); and other compensation and employee benefit-related issues (22 percent). 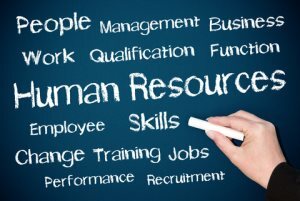 The survey also showed that the larger a company, the more likely an HR professional would spend an increased amount of time in these areas. Providing financial education and other resources does not just benefit employees, but a company’s bottom line. Employers said they believe that overall financial wellness leads to a more satisfied (76 percent), loyal (66 percent), engaged (65 percent) and productive (55 percent) workforce.